Back on https://joedichiara.wordpress.com to post the third piece of artwork in my “GO NBA” series. 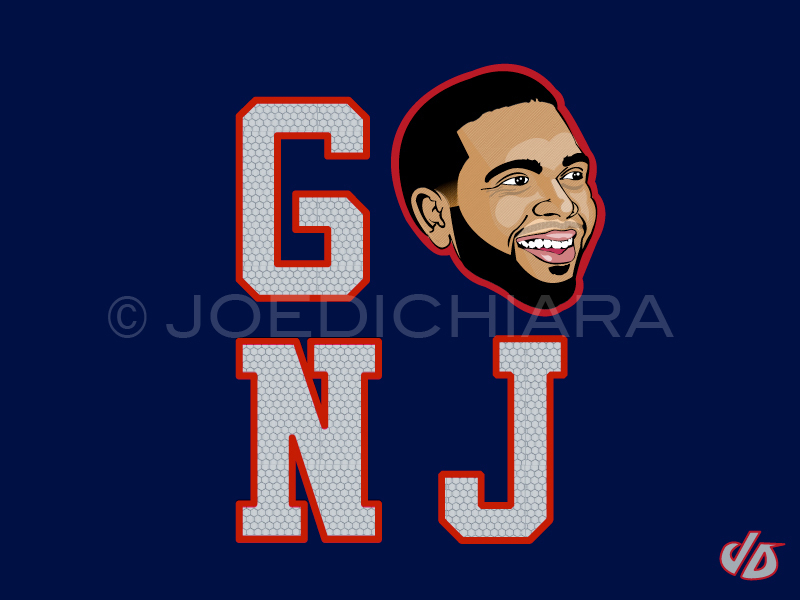 Today’s illustration is for point guard Deron Williams of the New Jersey Nets. Like the previous installments, the Nets font on the front of their jerseys is used within the design of the image. Be sure to check back onto https://joedichiara.wordpress.com to view the next set of artwork in this series, and to log onto http://www.joedichiara.com to view additional work. Again, here is a video of Williams highlights to accompany the illustration.